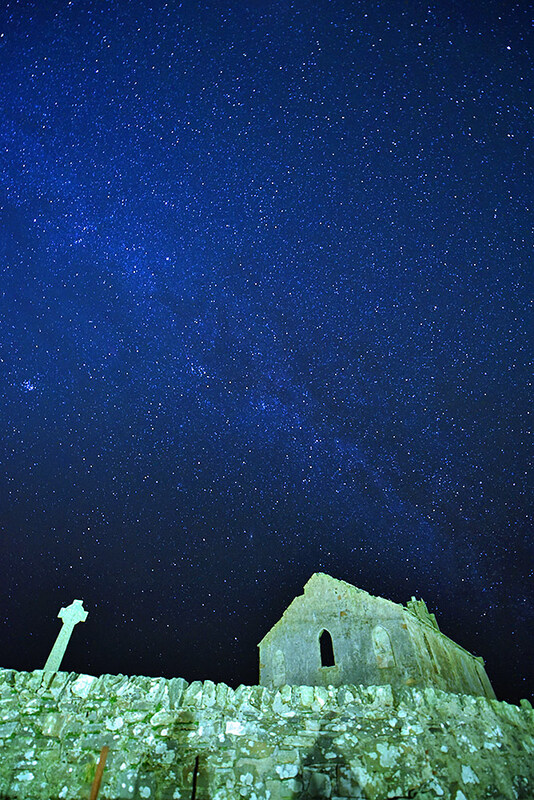 A clear November night on Islay with a view of the starry night sky (incl the Milky Way) over the Kilchoman Cross and the ruin of Kilchoman Church. Also two shadows of me, created by two light sources. 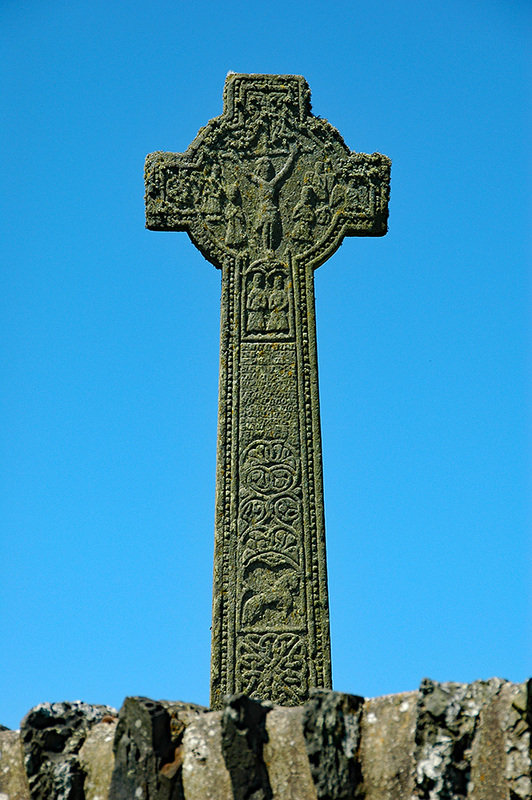 A sunny view of the beautifully carved Kilchoman cross, one of three well known Celtic crosses on Islay. 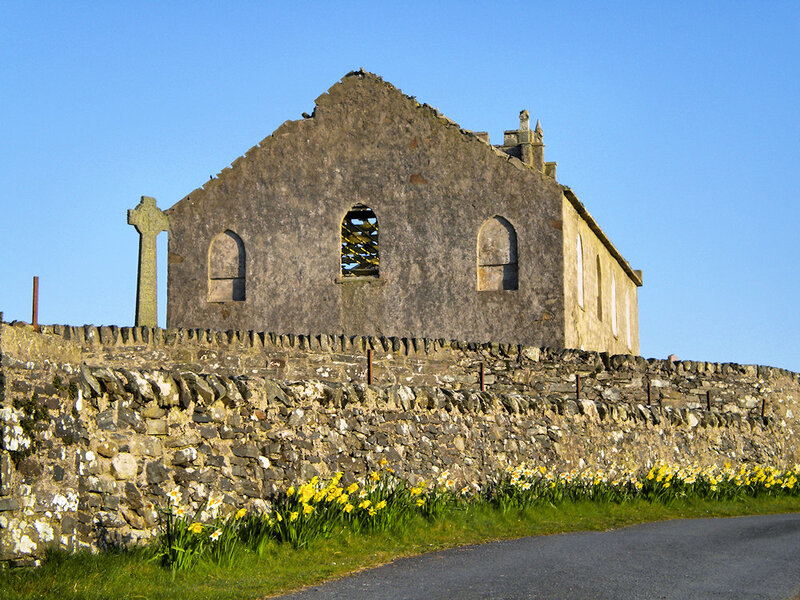 A view of Kilchoman Church on a sunny April day in 2010. Daffodils stretch along the road to Kilchoman House.